Sometimes, when I find a type of food I like, I just eat and eat and eat it and that's kind of what I'm doing at the moment with Pan Asian. 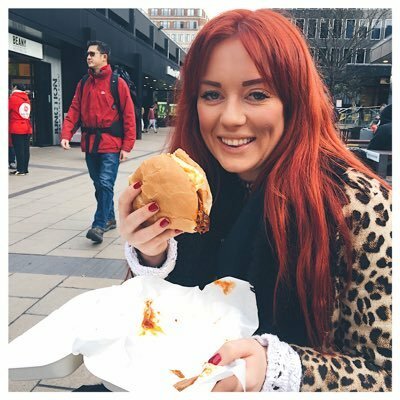 I hope you guys aren't bored of it yet because I've got another great recommendation for you, with the best name ever: TooTooMoo. 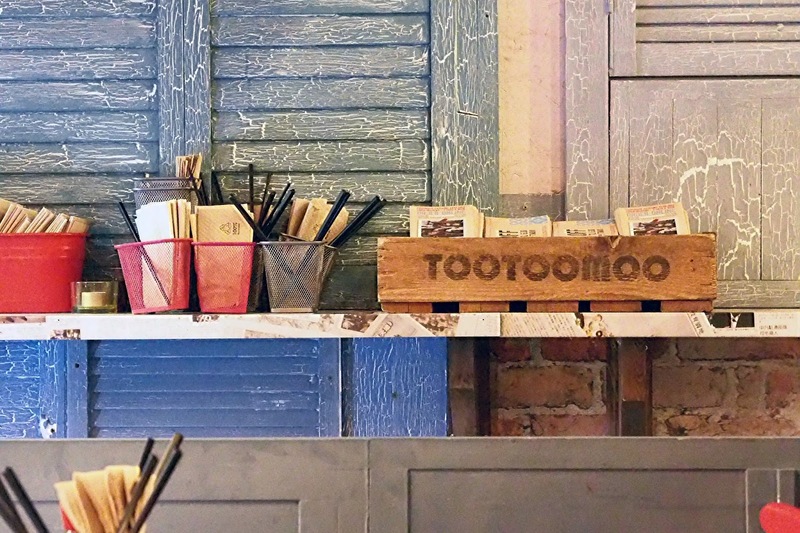 TooTooMoo have a cluster of restaurants in North London which specialise in Pan Asian - a fusion of oriental cooking styles from Thai and Chinese to Vietnamese. 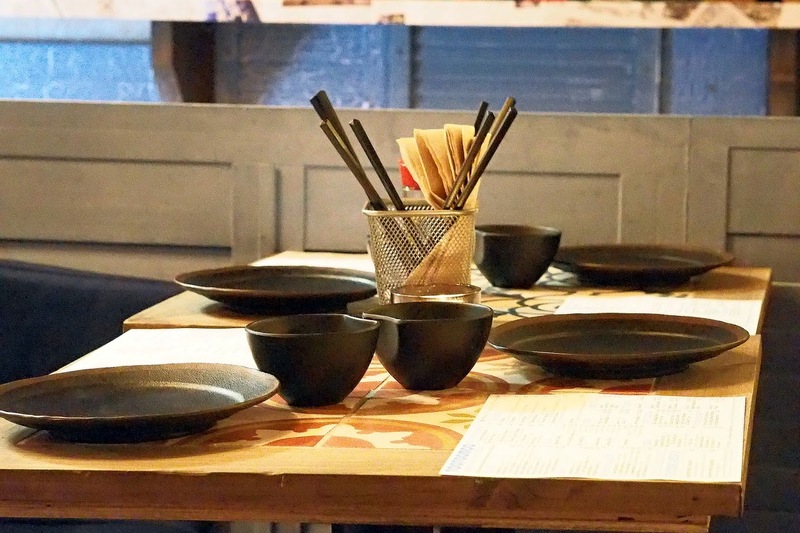 All the dishes are served 'tapas' style, so perfect for sharing and use healthy, high quality ingredients. Tom and I headed there for a mid-week dinner last week and just LOVED it. There's a killer cocktail menu with incredible mint mojitos and Cosmopolitans to start your meal, or you can pick from the extensive selection of wine, beer and soft drinks. 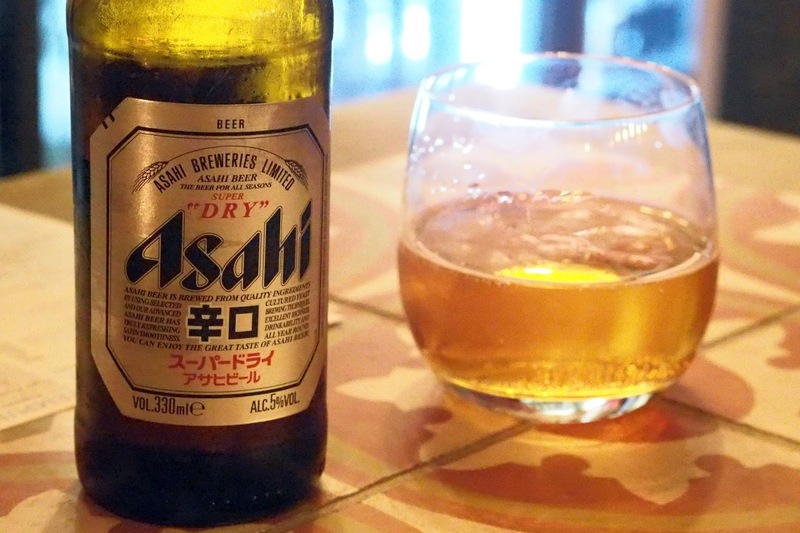 The menu is split up into four main sections: small plates, tempura, sushi and salads and it's advised that you order about 3 dishes each to share. 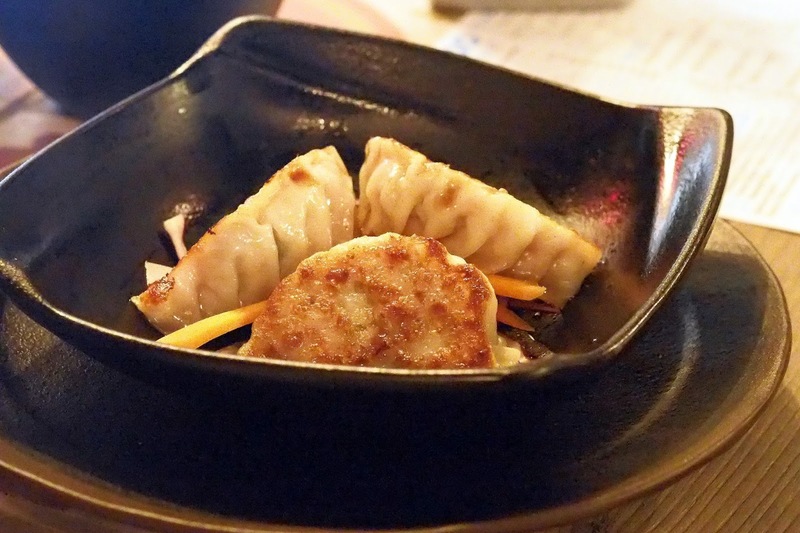 We started off with the fried chicken gyoza (£4) which came with a delicious black rice vinaigrette and is a definite must order. Each parcel is perfectly cooked with a lovely crisp outside and stuffed to the brim with the meaty filling. 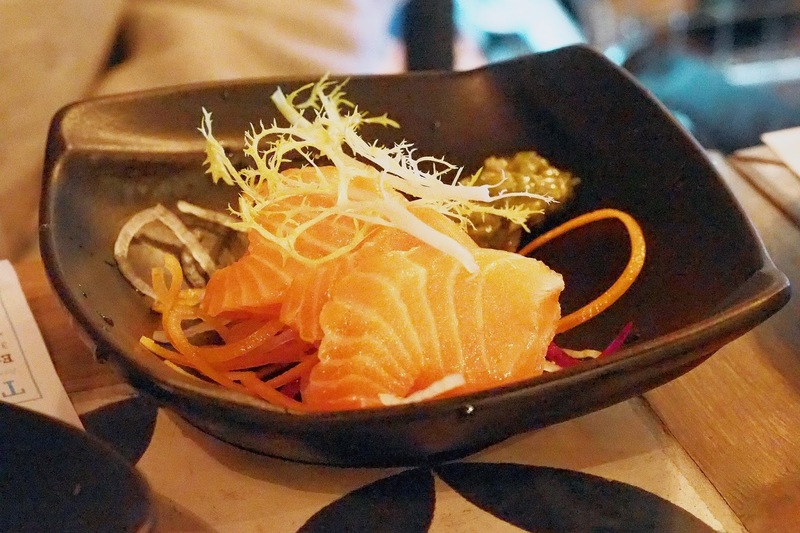 We also loved the salmon sashimi (£5.50). 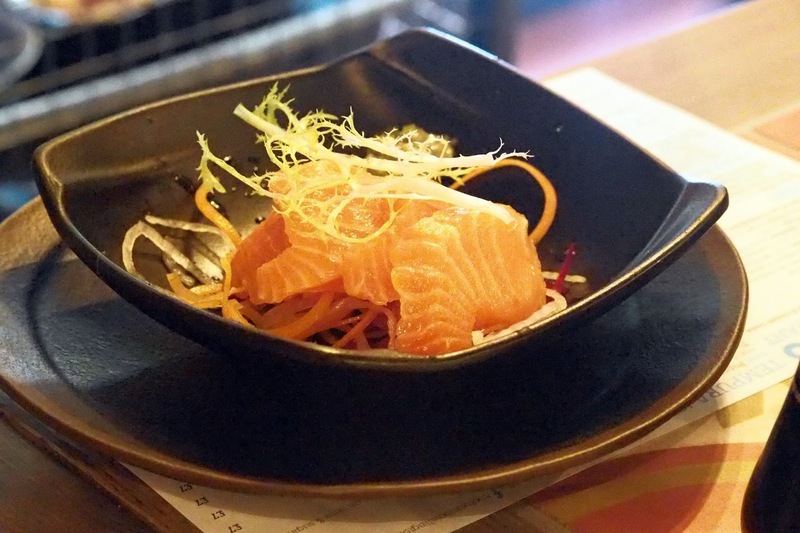 Thick, meaty slices of salmon which were incredibly fresh and so delicious when dunked into the soy sauce and wasabi. 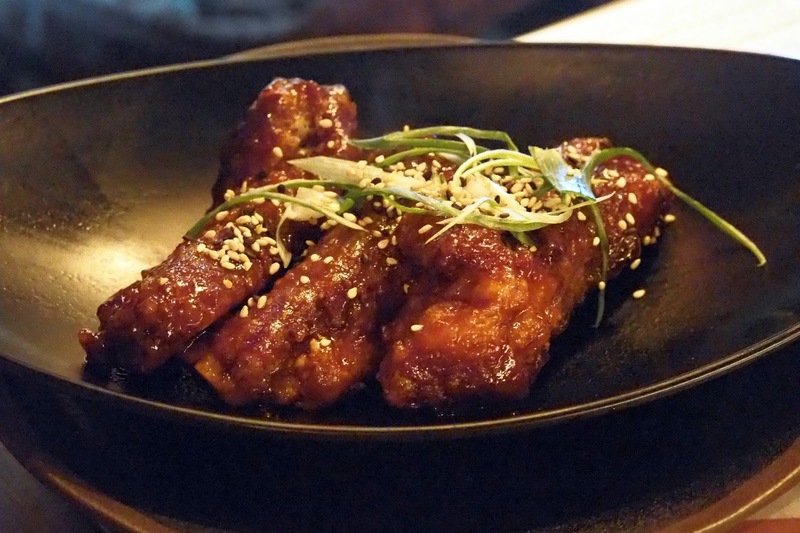 These sticky BBQ pork ribs (£5.50) were our absolute fav dish though. Smothered in a tangy char shiu sauce and sprinkled with sesame for that extra crunch. Make sure you order two lots as you won't want to share these! 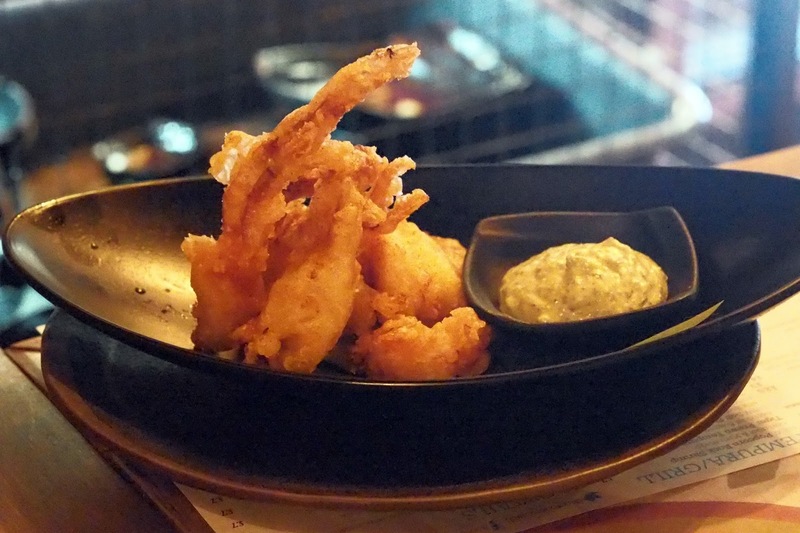 We also loved the Soft shell crab tempura (£6.50) which came with a lightly-spiced jalapeño mayo. This is one of the dishes I always order when on the menu and it definitely didn't disappoint. 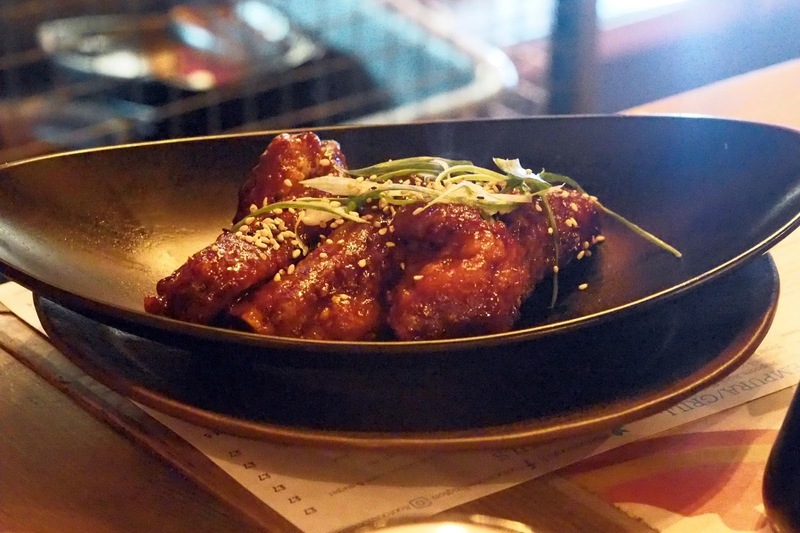 The batter was light, crisp and without that greasy feeling you sometimes get - TooTooMoo pride themselves on being a healthier restaurant which you can certainly taste within the cooking. You can't really go for a Thai without ordering a curry can you? 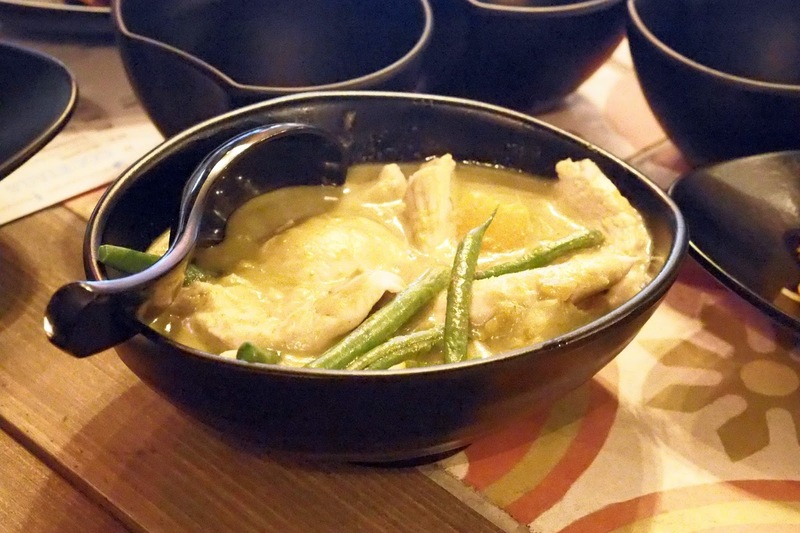 This Thai green curry (£6) was good - not the most amazing one I've ever had (I'm looking at you Chi Kitchen) - but it still had that gorgeous fragrant flavour and was way better than the one from my local! The portion is a little on the small side so if you're sharing, like we were, make sure you order two otherwise you'll be fighting over the last bits of chicken! I don't really like rice (I know weird right?) 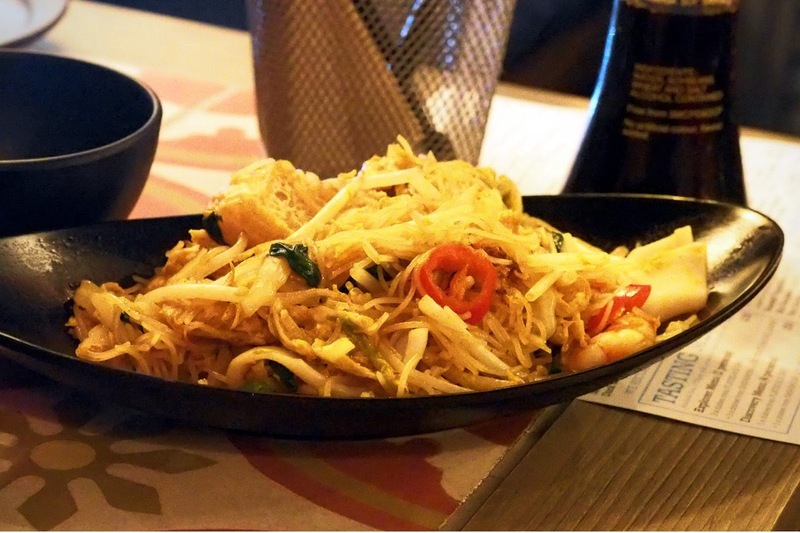 so we also ordered a portion of Singapore noodles (£8.50) to share which were delicious. Thin, crunchy noodles which had been stir-fried with squid, shrimp, egg and chilli in a tasty savoury spicy sauce. 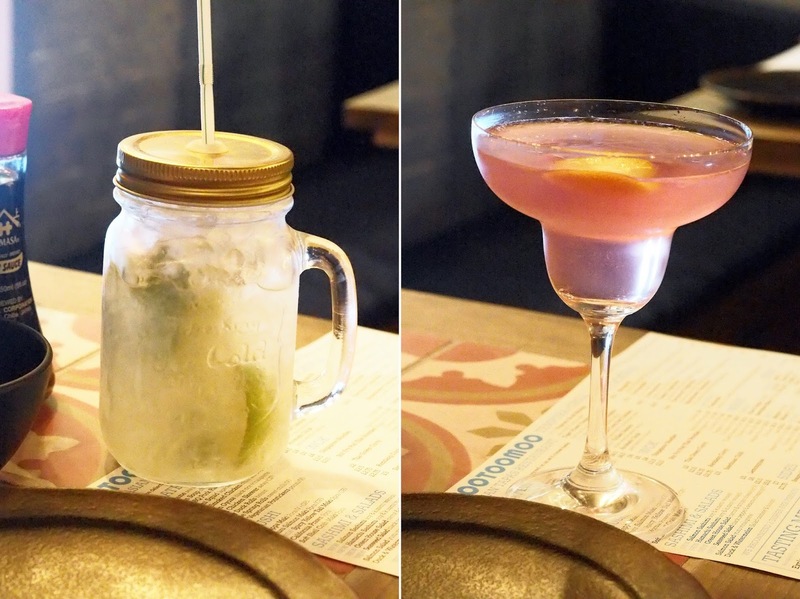 Overall we both really enjoyed our evening at TootooMoo so I would definitely recommend it! The food is really fresh and you get really great quality at affordable prices. They recommend you share 6 dishes between you (which we did) but I'd say maybe go for 7-8 as we left feeling like we could have eaten more. It's worth remembering Tom and I are a little greedy though...!